so i made the all time most romantic food on thursday. the food of love. 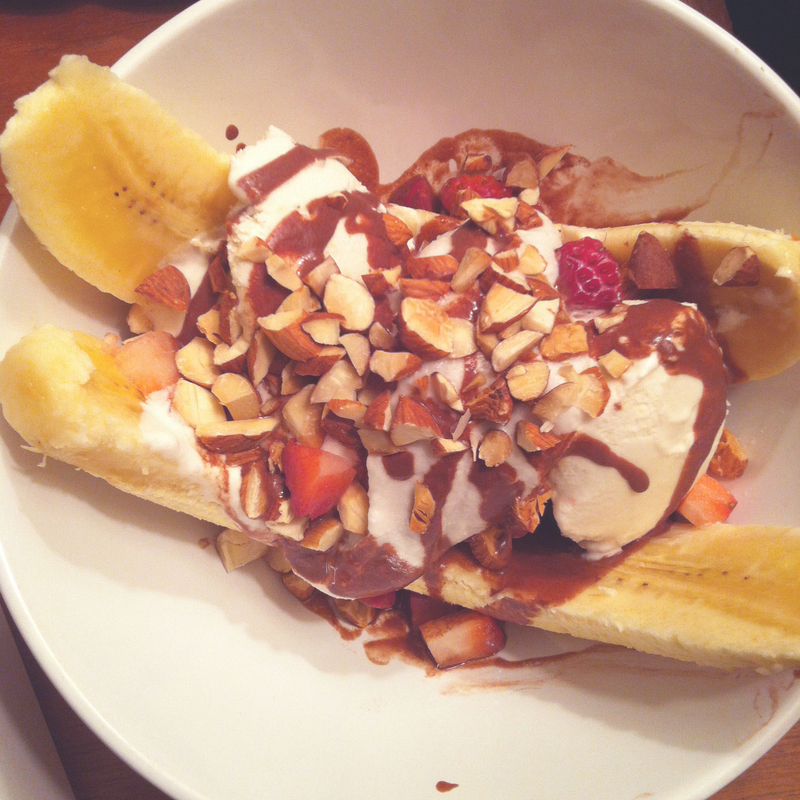 that’s right, i made vegan banana splits. 1 tbsp rum, cointreau, kalhua, whatevs. this is optional. heat coconut milk and cocoa in a saucepan until the cocoa is well incorporated. add sugar and vanilla and booze if you want it. whisk together and let sit. makes more than you’ll need, but then you’ll have choco sauce. leave a can of coconut milk in the fridge until well chilled. open and carefully scoop the cream out of the top of the can. whip in a stand mixer or with a hand mixer with other ingredients until fluffy. split the bananas down the middle and arrange 1 per bowl. 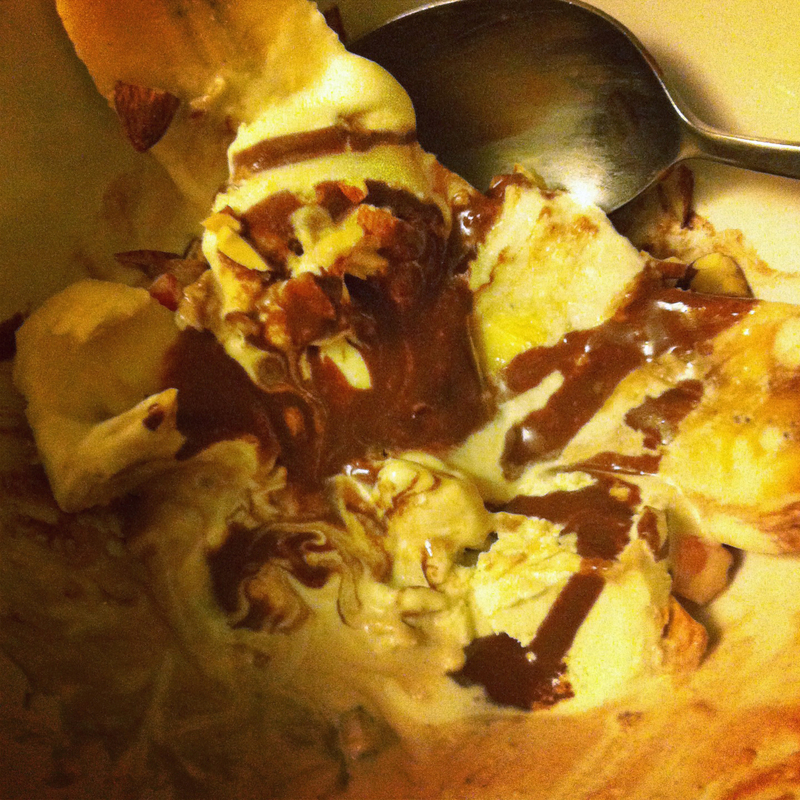 scoop icecream and arrange down centre of bananas. top with everything.